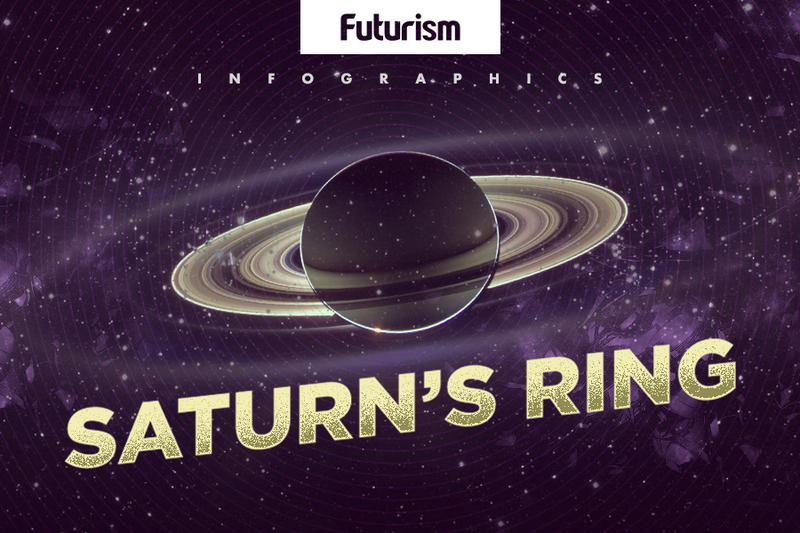 Before burning up in Saturn’s atmosphere, it’s taking a trip through the planet’s stunning rings. One tool in our never-ending quest to find life in space is reaching its end later this summer: a $3.26 billion Saturn probe, The Cassini spacecraft. Cassini has lent itself to helping us understand Saturn’s famous moons, Enceladus and Titan, and gather evidence in support of the hypothesis that the moons’ thin ice shells might be harboring oceans brimming with life. In order to avoid any potential contamination of future studies on habitability and potential life on these moons, NASA scientists need Cassini to step aside now, and it will via what they call its “Grand Finale” — a self-destruction, of sorts. Between April and September 2017, the spacecraft will be cozying up to Saturn and its moon, Titan. During its deadly descent, the spacecraft will travel between the rings of the planet on what is essentially an entirely new mission, all its own. Cassini’s new plan — and ultimate self-sacrifice — will help scientists understand how giant planets form and evolve, and improve our current understanding of planetary systems in the universe as a whole. NASA scientists intend on collecting data on Saturn’s gravity and magnetic fields, paying close attention to composition of the planet’s rings, sampling the particles from the planet’s atmosphere, and taking mesmerizing photos of Saturn’s rings and clouds throughout Cassini’s final descent. After three decades of development — and two of exploration — the Cassini-Huygens spacecraft will meet its spectacular end. In its voyage, the spacecraft has provided our scientists with data that have led to some of our most exciting discoveries of the preceding decades — including evidence of habitability in our solar system. Oddly enough, that’s the very data that ultimately sealed the spacecraft’s fate. Thanks to Cassini, scientists have a better understanding of weather and seasonal patterns on Earth, the potential origins of life on Earth, the conditions required for life, the development of planetary systems around other stars, and even building better rockets. While Cassini’s final journey is bittersweet, the information collected on its Grand Finale will only help us understand our place in the universe that much more.